The rise of digital technologies means that it has become much easier to use other people’s work as your own. It has also become much easier to be caught due to plagiarism detection software such as Viper. In the past, it was much more difficult to detect acts of plagiarism. Such detection involved somebody remembering a specific piece of content, and matching it to the work of a plagiarist. As you would know, content matching would have been quite difficult, and so, many plagiarists may have gotten away with their acts of plagiarism in the past. New technologies have allowed for paper content to be digitalised. Do you think this would help in the detection of plagiarism? Yes. as this makes it much easier to locate via searches and plagiarism detection software. Therefore, we have now entered a new era in the war against plagiarism. “The current concept of plagiarism is based on a capitalist view of property and ownership. It assumes that everything of value can be owned, bought, and sold and that ideas, knowledge, and art are created by individuals who have the rights of ownership”. Every piece of writing that is created is automatically copyrighted. Any reproduction of such texts or original ideas can be considered to be an offence of plagiarism. As you may know, this includes text, pictures, artwork, videos, and or computer-generated animations. However, it might be said that any piece of writing, artwork, or any narrative of any kind is rooted in popular culture, and such works can ever be truly original. For example, you might see a movie that has similarities with something else that you have watched, with just a little twist to differentiate it. However, unless there is something clear that is a like-for-like copy, then this is unlikely to be considered to be an act of plagiarism. As human beings, we tend to take in vast amounts of information over the course of our lives. This information can then spill out subconsciously into our own works of art or literature. It could be likely that would not be aware that the information has been taken from viewing somebody else’s work. For those who do not wish to plagiarise, just like ourselves, the Digital Age can be a blessing. Right now we can all, including you, perform a lot of ways to check our work for plagiarism. We can: (a) simply copy and pasting the text into a search engine such as Google or Yahoo, or (b) use a dedicated plagiarism software like our Viper Plagiarism Checker. For many of us with artistic integrity, this is a vital part of the process of writing. Whether this is song lyrics, academic work, or a work of literature or journalism. Doing such checks also provide us with a safeguard against getting into trouble or being humiliated for copying later on. Has the Digital Age had a Positive or Negative Impact? The Digital Age has been both a blessing and a curse for all of us when it comes to plagiarism. For willing plagiarists, this has provided them with a wealth of information and ideas to easily copy and use as original work. For academic institutions it has led to us, a means of detecting plagiarism. Perhaps such digital means might also allow a plagiarist to check if a document or piece of work has been digitised. This will grant them the insurance to know that it would be easy to plagiarize. Complex situations could arise though. Someone who uses this as a source, and correctly cites it, might inadvertently be taking the ideas of someone else’s work, without realising it; and could therefore get into trouble for the omission of a citation of this original work. As time goes by, plagiarism detection software is likely to get increasingly sophisticated. This might lead to a scenario whereby fewer and fewer people engage in acts of plagiarism. What this might not solve though, are acts of accidental plagiarism. What is needed in these cases then, is more education in respect of what plagiarism is. This could be taught to us as digital information, via online tutorials or online articles about plagiarism such as this one. Plagiarism has been a big issue for universities for many years. The rise of digital technologies, like our very own here at Viper, have helped to eliminate such concerns. Digital technologies have led us to a situation in which such institutions have to be more aware in detecting plagiarism. This would help them keep their academic reputation. It also make it fair on those students, including you, who try follow the plagiarism rules and regulations. Nowadays, criminals can become more technological and could counter-crime agencies, and vice versa. This then, is an ongoing battle, which evolves as one side responds to the other. The key to this battle in the academic world is that of teachers and lecturers. Plagiarism can be identified by noticing changes in writing style. Therefore, teachers might be able to identify when a student’s work has undergone a drastic change in style. This could act as a red flag for further investigation. If all students’ work, including yours and mine, is put through plagiarism detection software such as Viper, then this should serve to decrease levels of plagiarism. This would then make plagiarizing to risky for students. 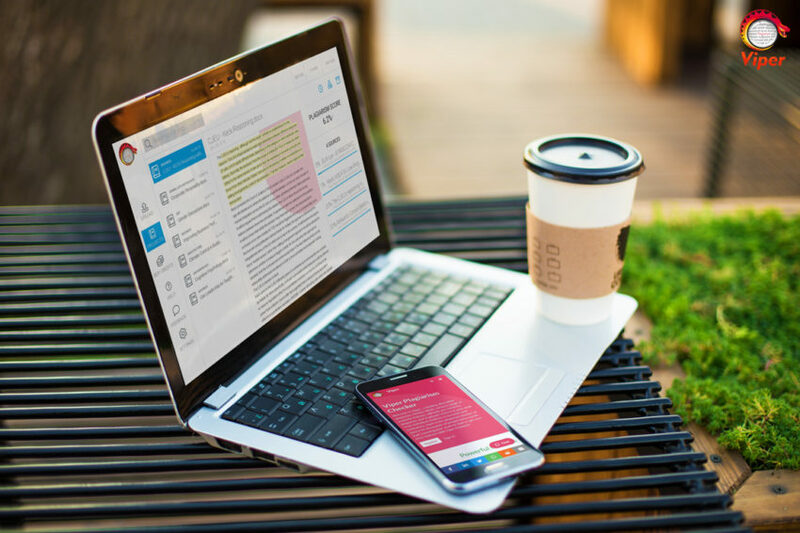 These digital technologies can help to eliminate plagiarism. It is important for us to use such technologies to our own advantage. Although digital technologies can be seen as both a curse and a blessing the benefits of these technologies could help you. Plagiarism in the Digital Age is becoming easier to detect, so you should be warned, and take appropriate action to protect yourself from acts of accidental plagiarism.